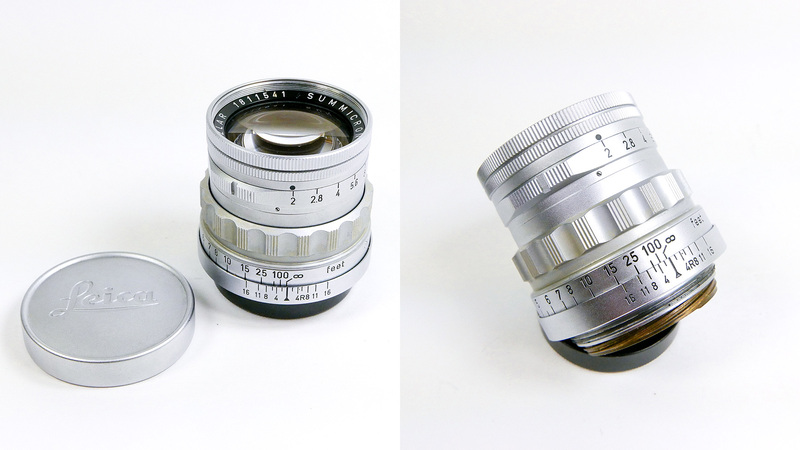 Leica 50mm “Rigid” Summicron f2 – in Leica screw mount. You’ve hear of the Collapsible, the Rigid and the “Dual-Range” first versions of the famous 50 Summicron, but did you know that the Rigid model was also made in screw mount? Only about 1160 of these screw mount Rigid lenses were made between 1960 and 1963.